Next July 5 & 6 ’08. Organized by Les Fils De L’Invention. Will have to see if we can make it there! Oh, and I have it on good authority that Thomas Dippel of the Arf Society will be present “to discuss Gail’s actions” — wearing one of these. 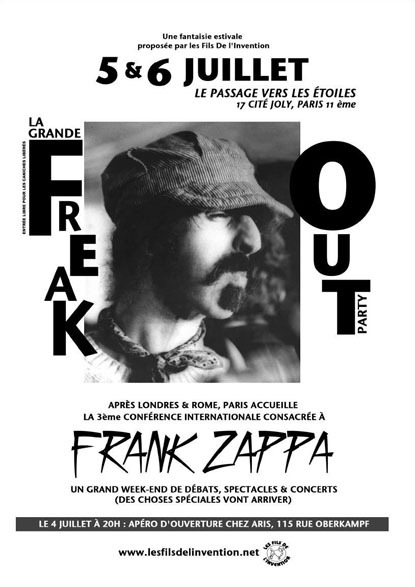 While we’re in Sarko-county: props to Zappa In France webmaster Francis Hérard who was present at the first ZFT vs Arf Society hearing and wrote about it here. In French, obviously!